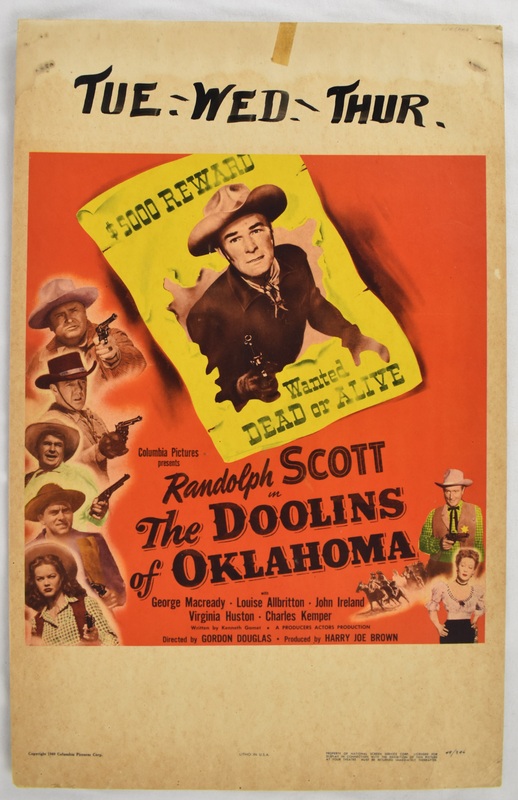 This lot features a vintage 1949 "The Doolins of Oklahoma" original movie theater poster. This poster remains in nice condition as it has been stored flat and has not been folded only rolled. The Doolins of Oklahoma is a 1949 American Western film starring Randolph Scott, George Macready and Louise Allbritton. An outlaw tries to go straight.